¤ The Kerala Backwaters are a chain of brackish lagoons and lakes lying parallel to the Arabian Sea coast (known as the Malabar Coast) of Kerala state in southern India. The network includes five large lakes (including Ashtamudi Kayal and Vembanad Kayal) linked by 1500 km of canals, both manmade and natural, fed by 38 rivers, and extending virtually the entire length of Kerala state. The backwaters were formed by the action of waves and shore currents creating low barrier islands across the mouths of the many rivers flowing down from the Western Ghats range. Known as the "Ricebowl of Kerala" Kuttanad brings to mind images of verdant paddy fields. A unique feature of Kuttanad is that the fields are below sea level and are barricaded from the surrounding backwaters by earthern bunds similar to the dykes of Netherlands. A voyage north of Alappuzha takes you to the rich green, sleepy little village of Kumarakom on the Vembanad lake. An enchanting picnic spot and a fast developing backwater tourism destination, Kumarakom provides boating, fishing and sightseeing experiences that are truly exhilarating. A long shoreline, with secluded, internationally renowned beaches, historic monuments, backwater stretches and a rich cultural heritage give this district some of the most enchanting picnic spots. Located 71 km to the north of Thiruvananthapuram, this historic coastline district known for its marine and cashew industries was one of the oldest ports on the Malabar coast and a major international trading point in day gone by. The district also has some interesting historic remnants and a number of temples built in the traditional ornate architectural style. 30% of this historic town is covered by the renowned Ashtamudi Lake, making it the gateway to the magnificent backwaters of Kerala. The eight hour trip between Kollam and Alappuzha is the longest backwater cruise in Kerala. 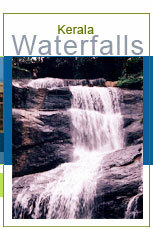 The District Tourism Promotion Council here offers a wide range of backwater tours and cruises. 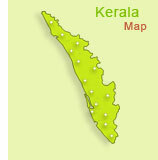 The northernmost district of Kerala, Kasaragod is situated on the sea coast with the Western Chats on its east and northern borders. Backwater trips on the Chandragiri River and at Valiyaparamba are fascinating experiences. Once the capital of the powerful zamorins, a prominent trade and commerce center and the land of the Malabar Mahotsavam, Kozhikode was the most important region of Malabar in the days gone by. Today, ancient monuments, lush green countrysides, serene beaches, historic sites, wildlife sanctuaries, rivers, hills, a unique culture and a warm, friendly ambience make this district a much sought after destination.